Procurement professionals have a great opportunity to develop themselves, and helps others, by sharing expertise in the charity sector. 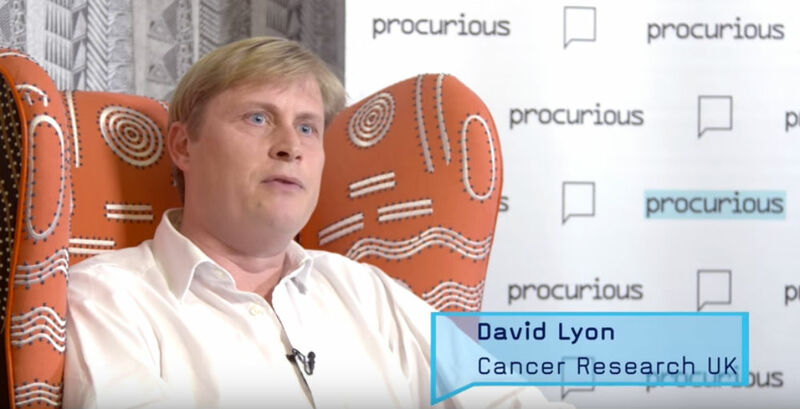 David Lyon, CPO at Cancer Research UK, believes there is a now great opportunity for organisations to share procurement expertise. Procurement professionals can push their development, and give something back, by working with the charity sector. David states that, in the age of CSR and transparency, young people can grow their own careers by gaining insight and knowledge in procurement by working with charities. If you like this (and you haven’t done so already) join Procurious for free today. Get connected with over 18,500 like-minded procurement professionals from across the world.